Ideal for cruising the rivers and broads, the boat "Silver Serenity" is a cruiser belonging to the boat-yard Silverline Marine, and is good for exploring the rivers around Brundall. Silver Serenity sleeps 6 people, with the bedrooms laid out as 3 double or 2 double and 2 single. Steer cruiser from the sun-deck, or from inside the cabin (called dual steering).Spend some time in the sunshine on the flat deck of Silver Serenity. This boat has a 240 volt electrical system. You can charge your devices from the 12v socket - suitable for mobile phones. Stay warm with the central heading on board. • There's no need to bring bed linen, as it is all provided on Silver Serenity. There is a vacuum cleaner on Silver Serenity. There is a TV on Silver Serenity. Bring those box sets you've been meaning to watch - this boat has a DVD player. You can bring your CD collection with you, as this boat has a CD player. There is a radio on Silver Serenity. There is a hairdryer on Silver Serenity. You get bed linen and duvets on Silver Serenity. No need to let your hygiene slip - there is a shower on board. The boat-yard has room to park your car. Hire a dinghy. If you're taking children on holiday - they'll love the Playstation provided. You have a choice of two steering positions - depending on the weather. Silver Serenityhas a bow thruster for easy mooring. This is the plan of Silver Serenity. To give you an idea of the size of your boat, Silver Serenity is 13.41m x 3.66m (44ft x 12ft). The Cruiser above is Silver Serenity - in the Silverline Marine region of Brundall. 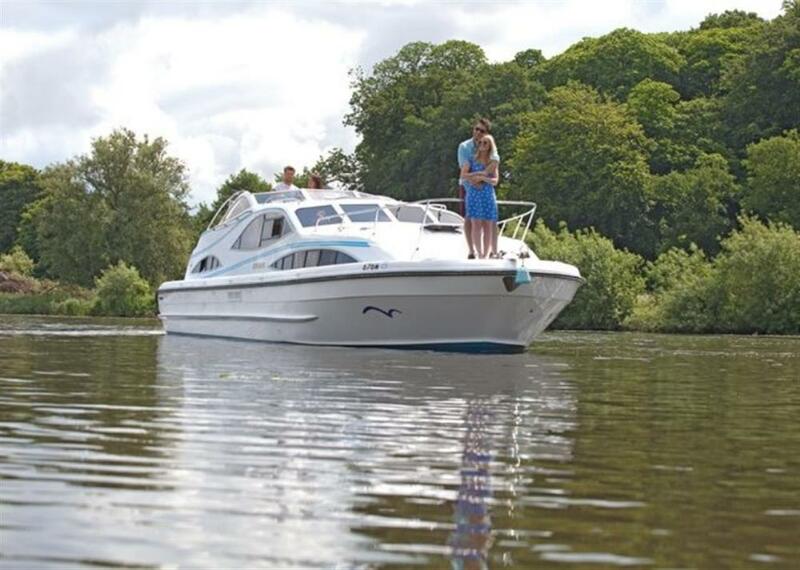 We've also listed several other boats in Silverline Marine; or for a bigger choice, look at all the boats available in Brundall. Hopefully you'll find something to suit your holiday needs!